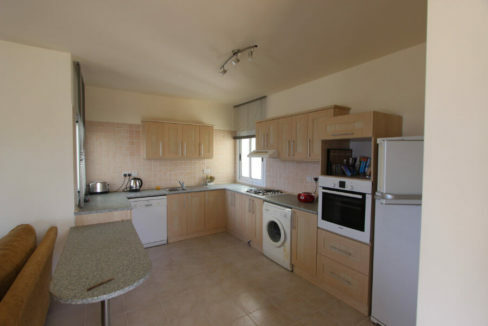 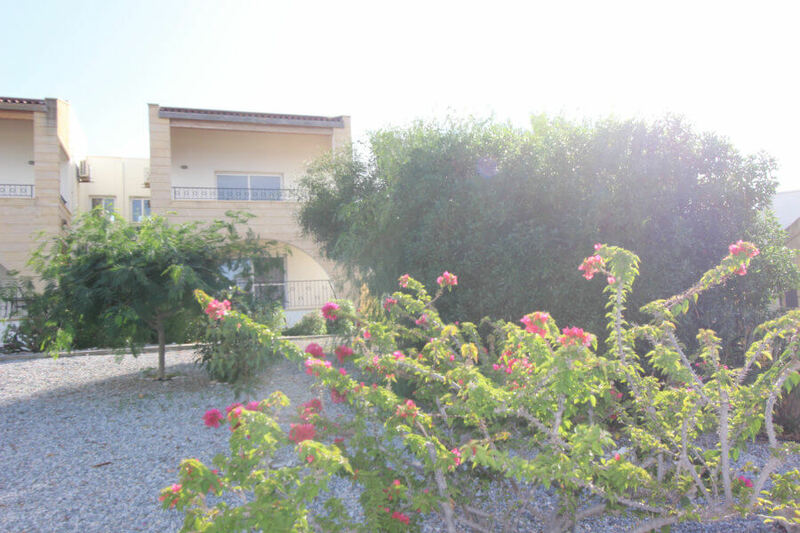 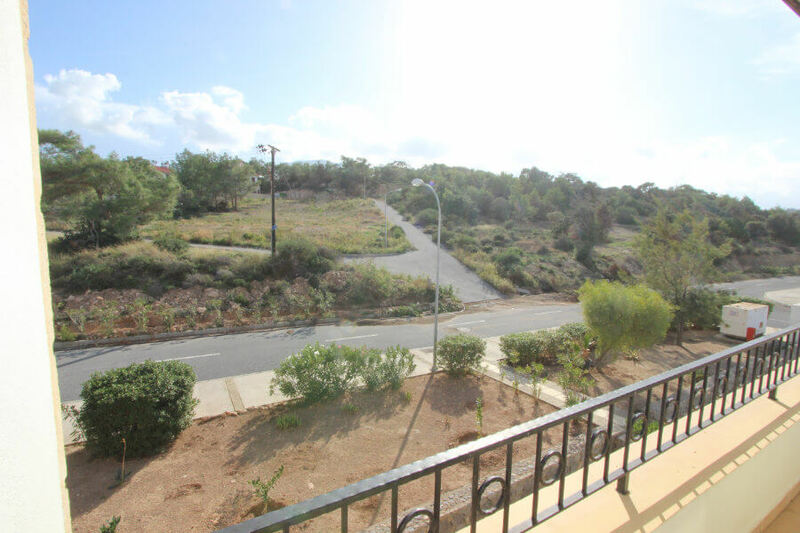 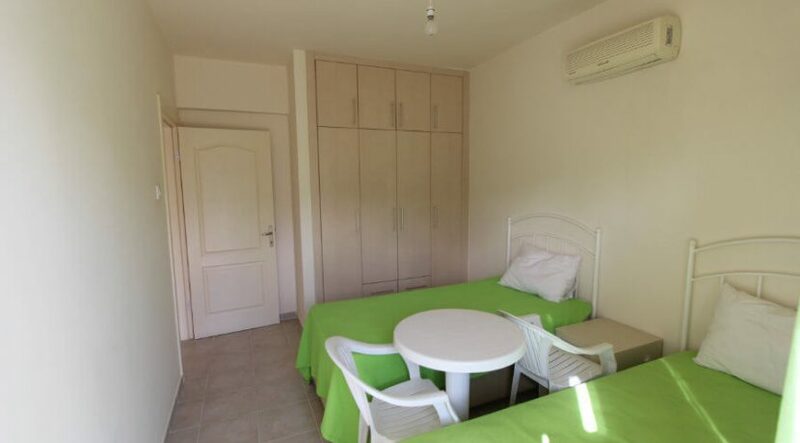 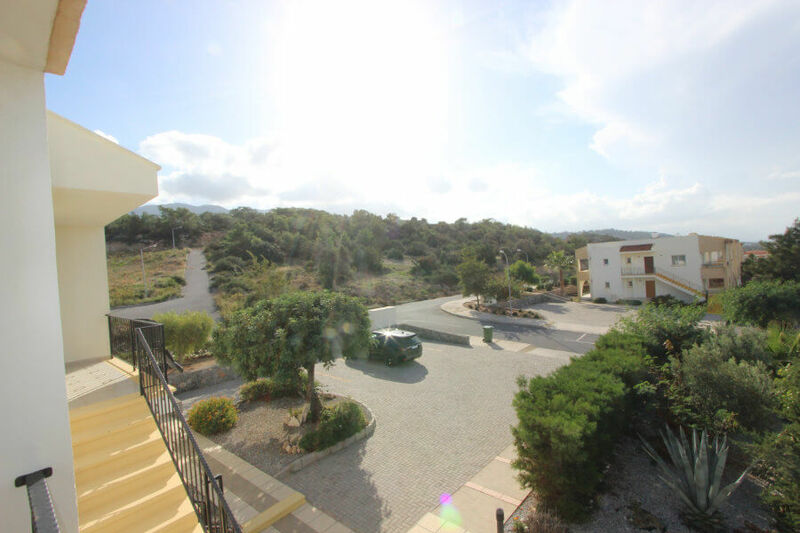 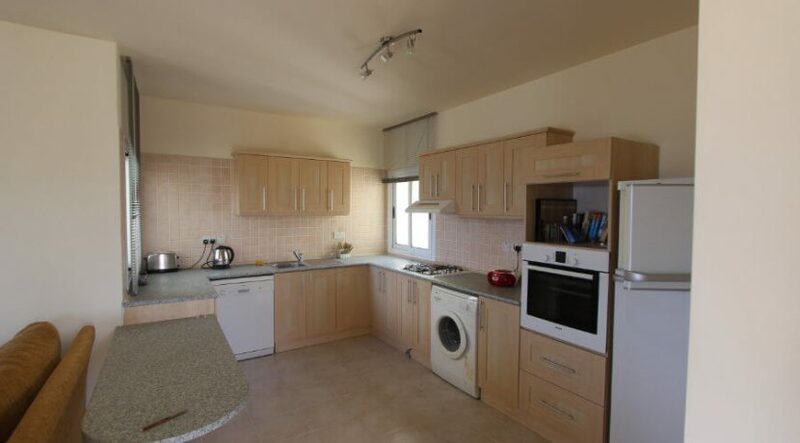 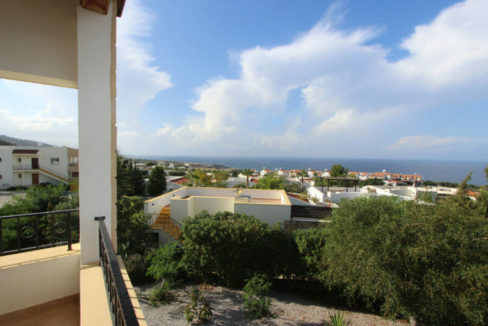 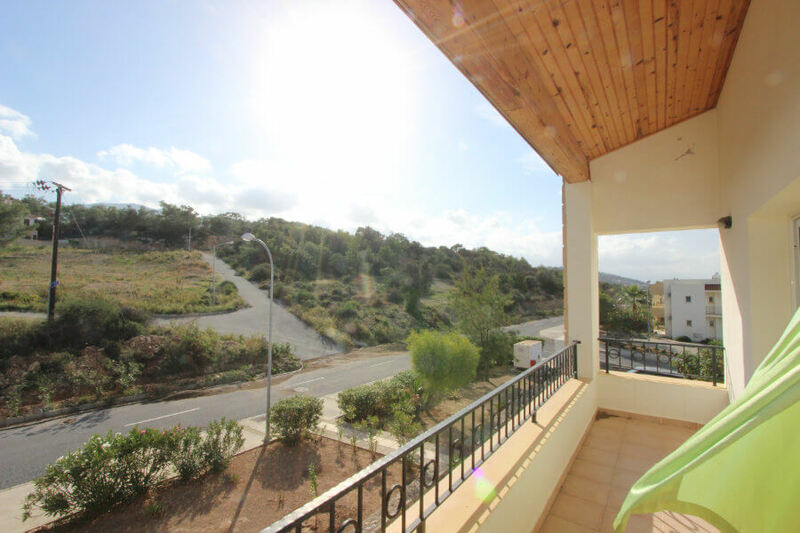 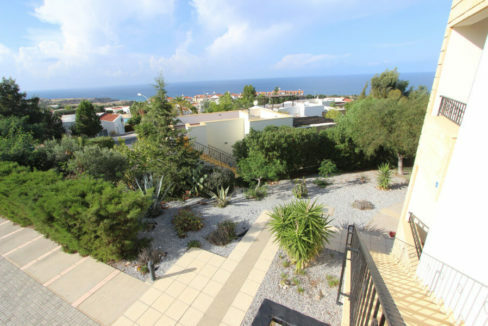 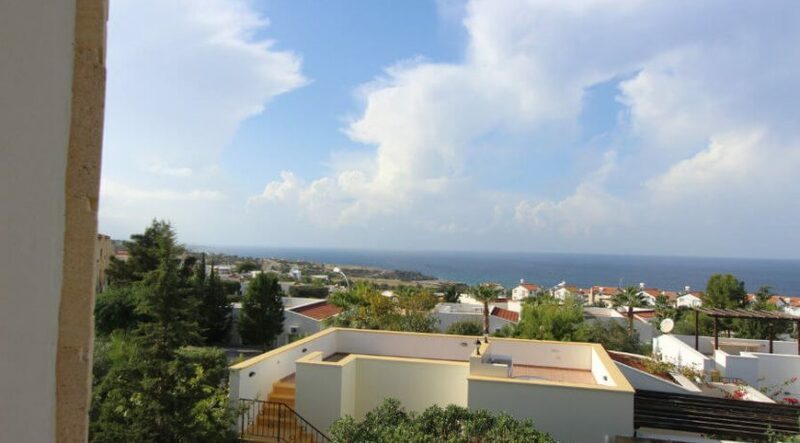 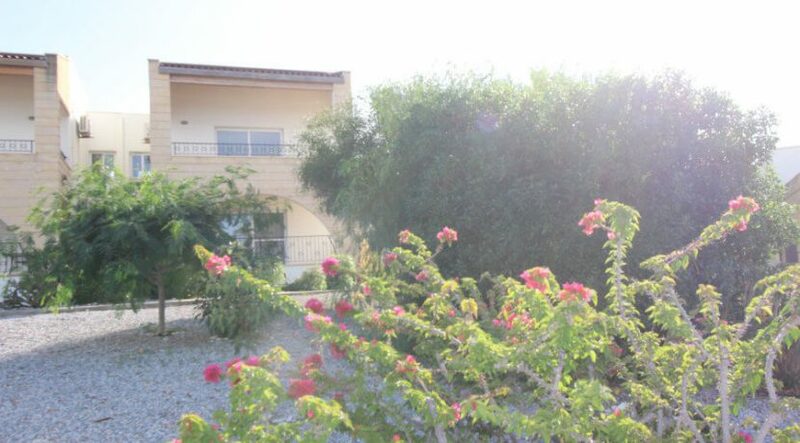 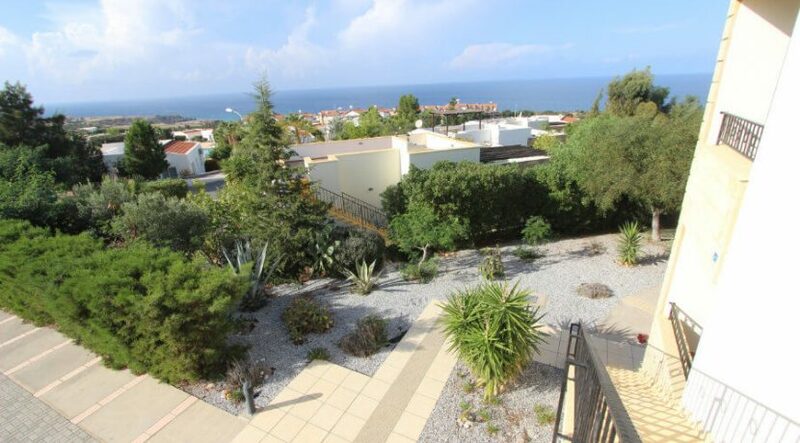 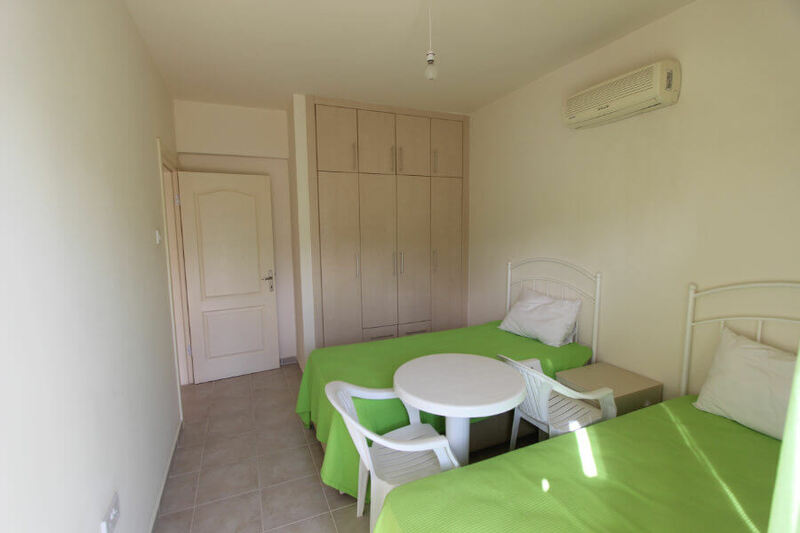 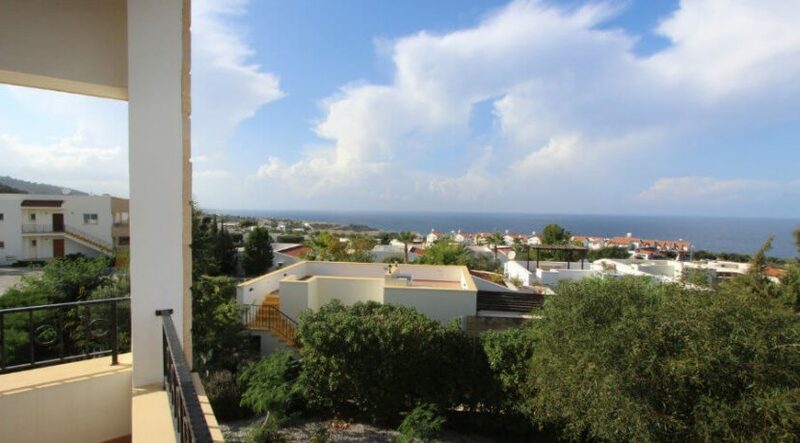 RARE FIND – walk to Esentepe beach & supermarket! A spacious, fully furnished penthouse with two bathrooms and two generously sized balconies both front and back – both with lovely views. 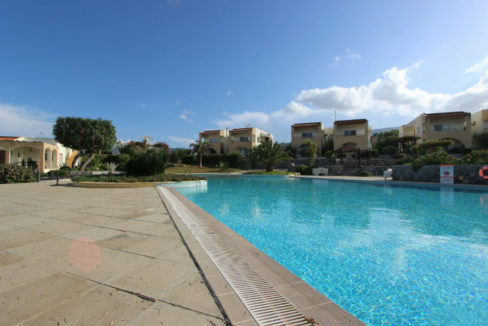 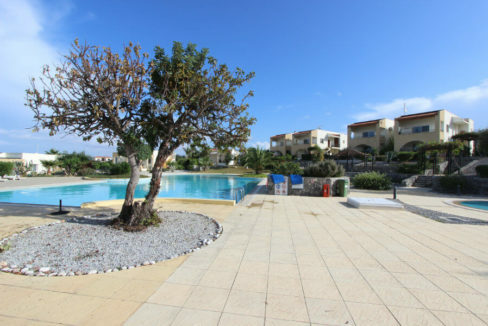 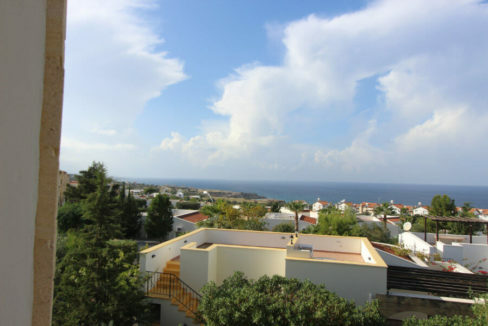 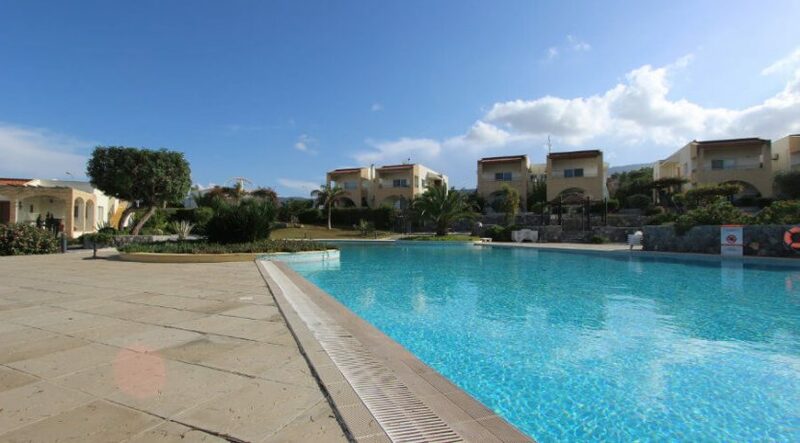 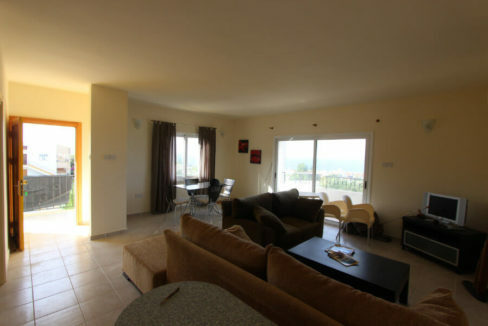 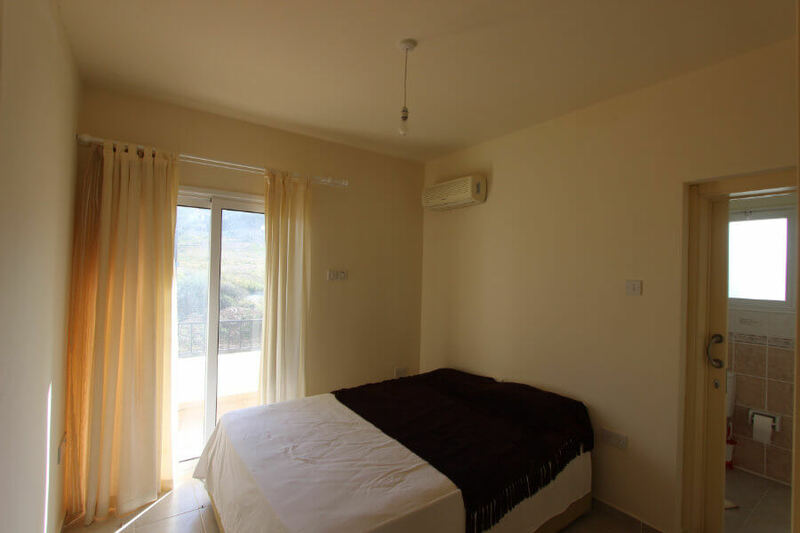 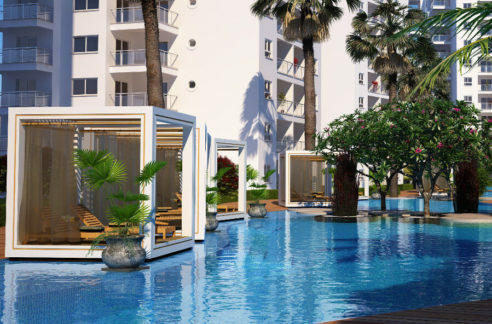 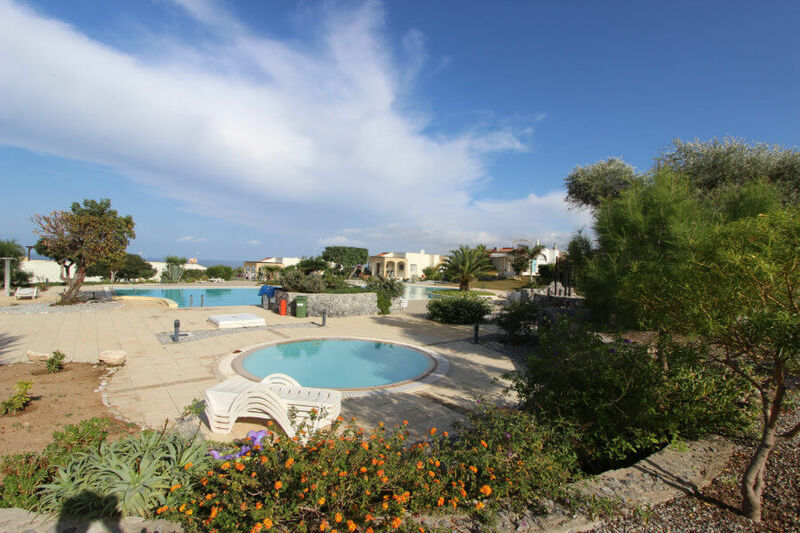 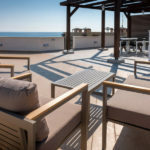 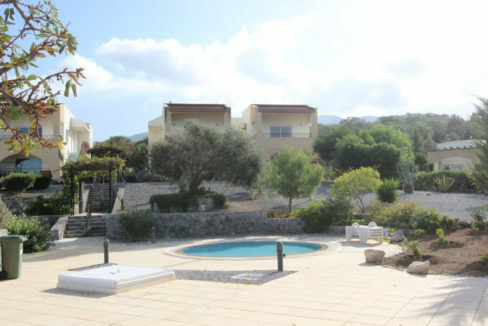 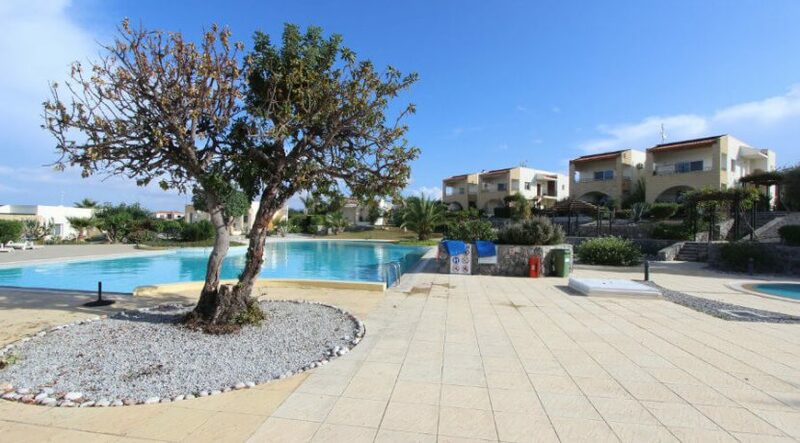 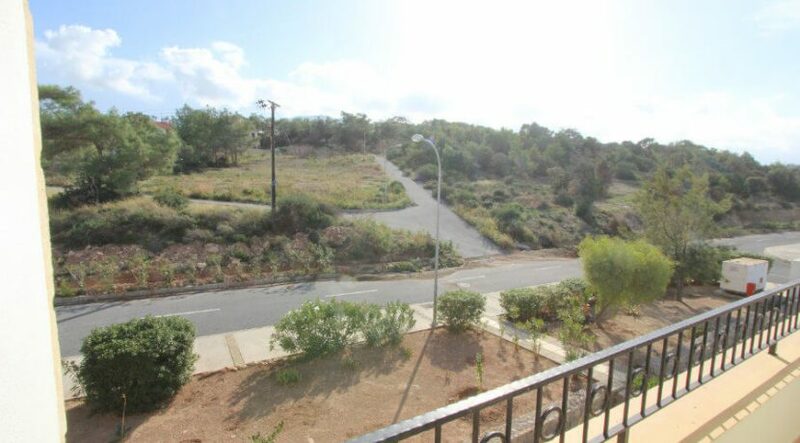 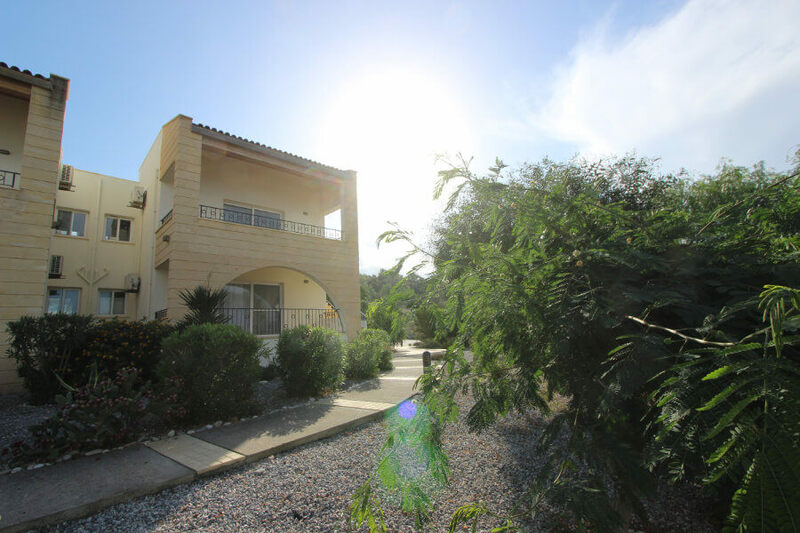 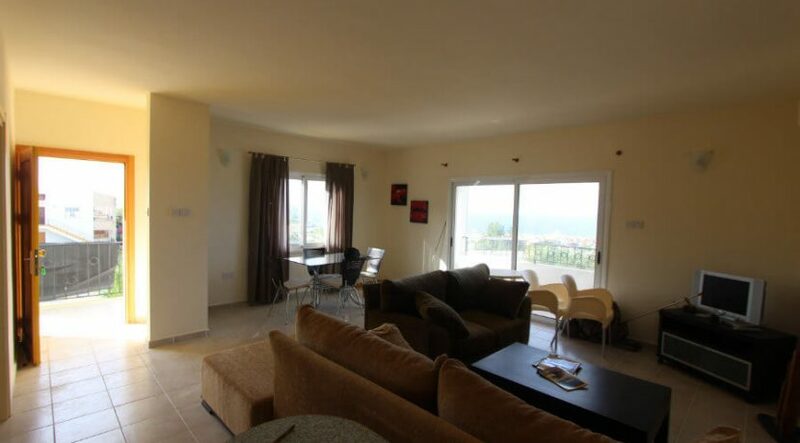 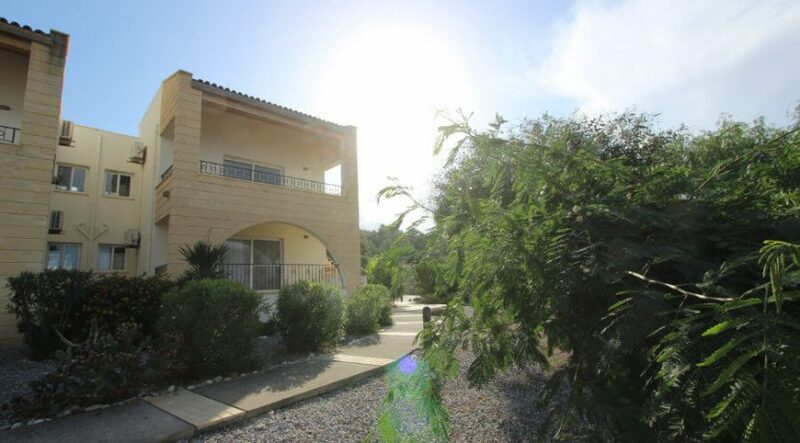 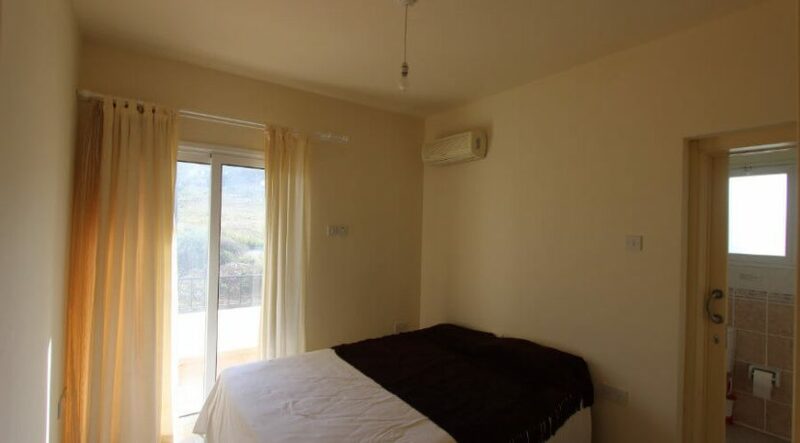 If you need a property close to facilities, but not in a city, then in North Cyprus you cannot get much better than this. 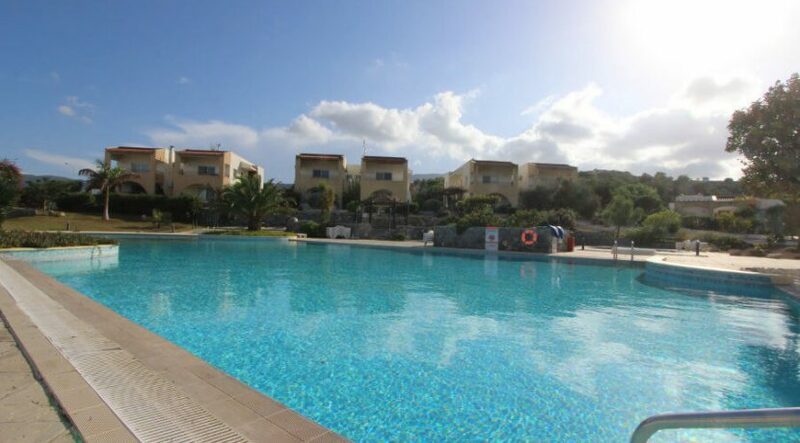 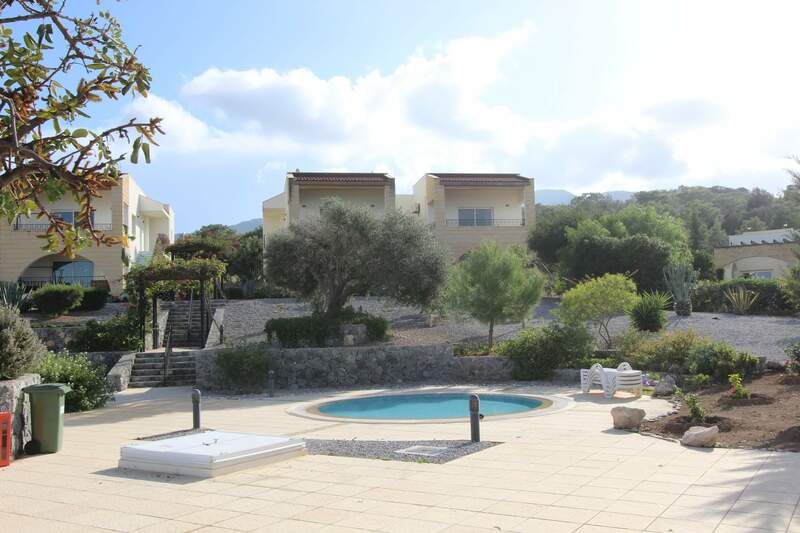 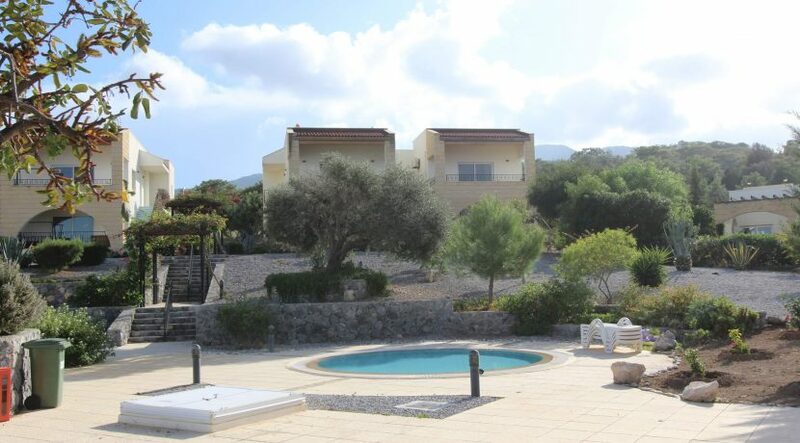 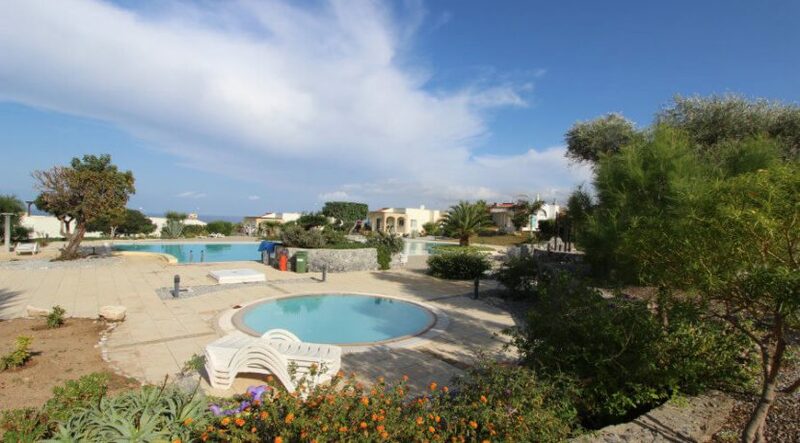 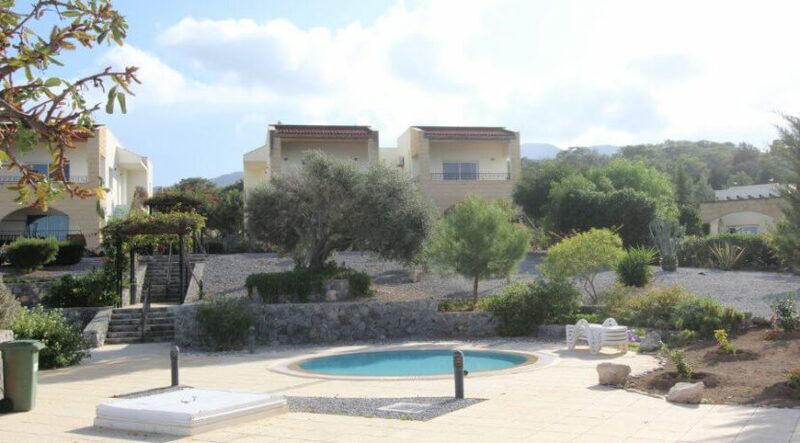 This much sought-after hillside complex is made up of a mixture of villas and apartments, all grouped around a lovely three-tiered swimming pool and set in beautifully maintained gardens. A short walk down the hill is a good-sized supermarket, below which the newly upgraded and sandy Esentepe Beach can be found. 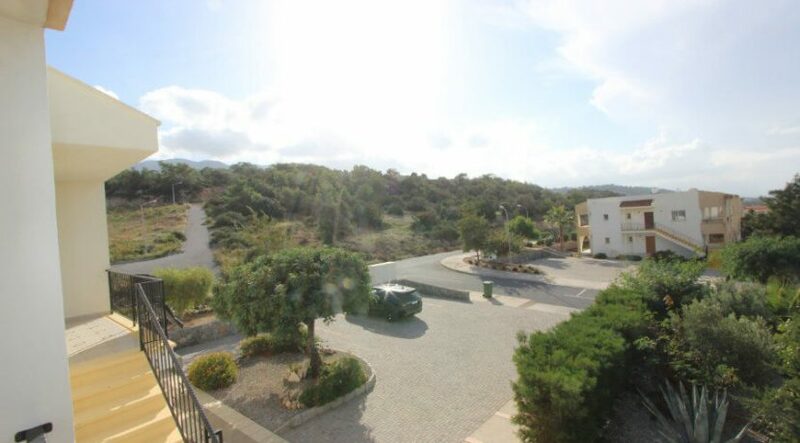 Restaurants are nearby. Steps lead from your parking place up to the front door, which leads immediately into the generously sized living, dining and kitchen area. 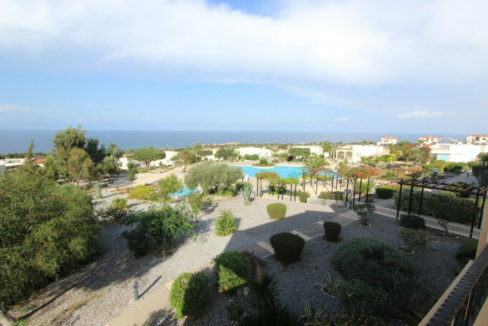 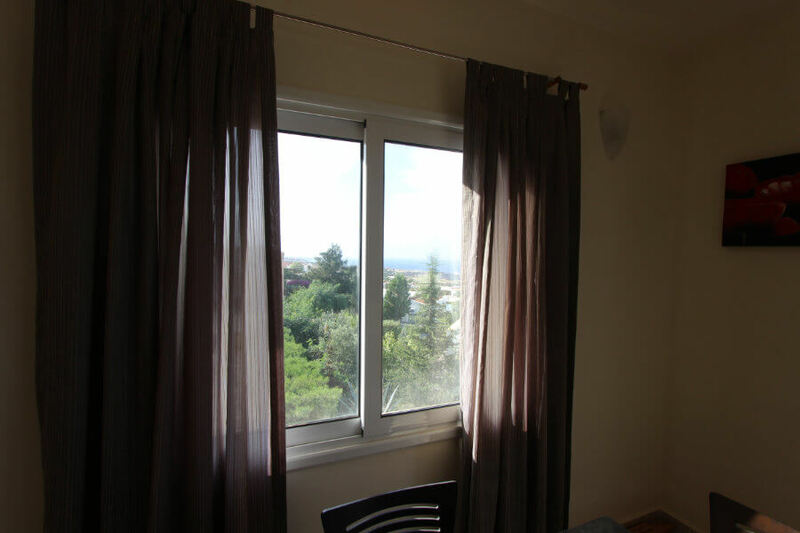 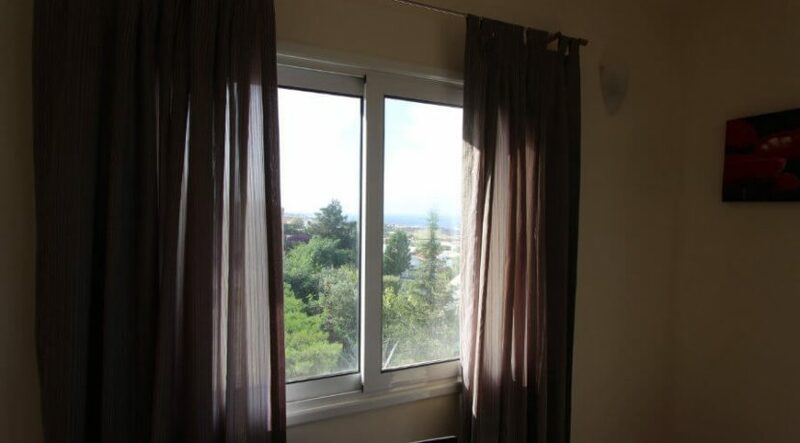 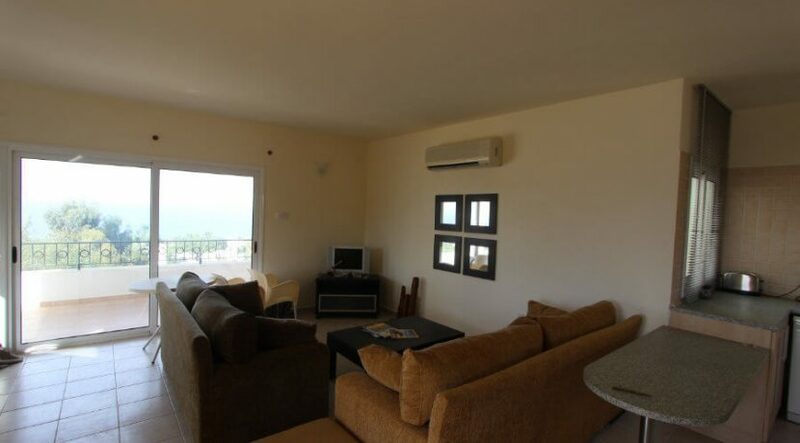 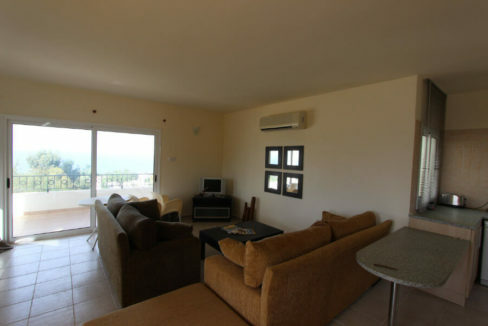 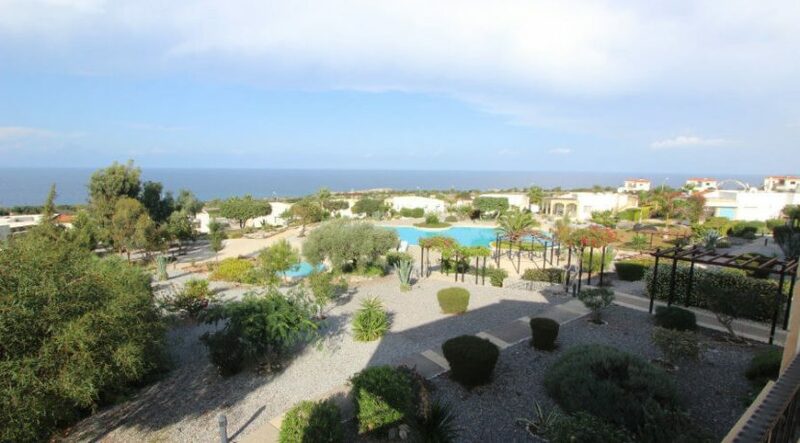 Simply but nicely furnished, this room has fabulous sea views with wide French windows leading to the larger of the two balconies (20m2) looking out over the sea, pools, and gardens and with plenty of space for al fresco dining. 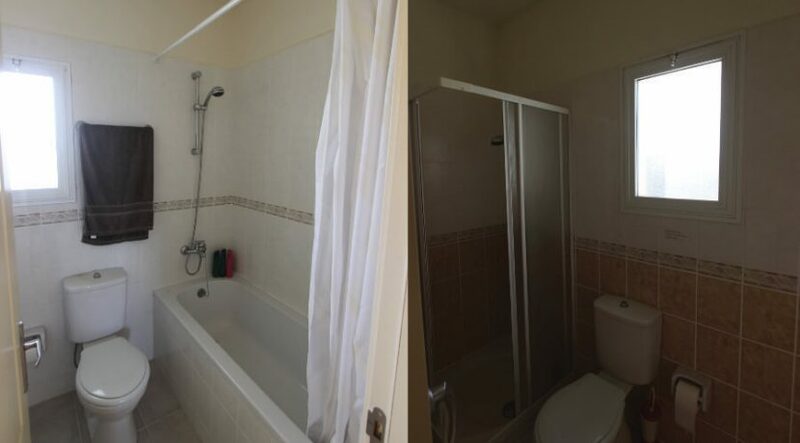 The master bedroom has ensuite shower bathroom. 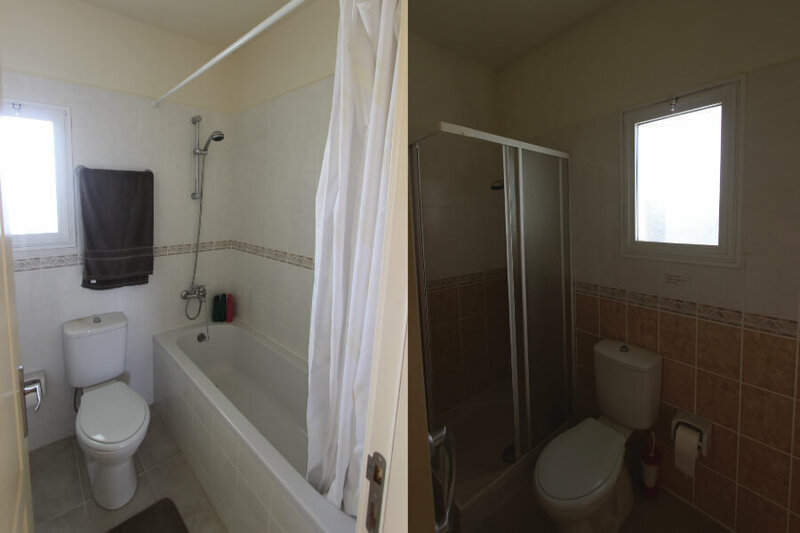 There is a second family bathroom. 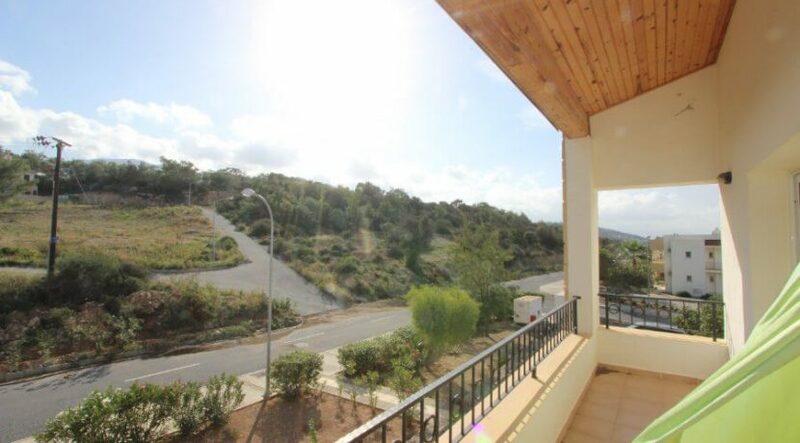 A short drive away is the lovely hillside village of Esentepe with a bank, supermarkets, and nice restaurants. 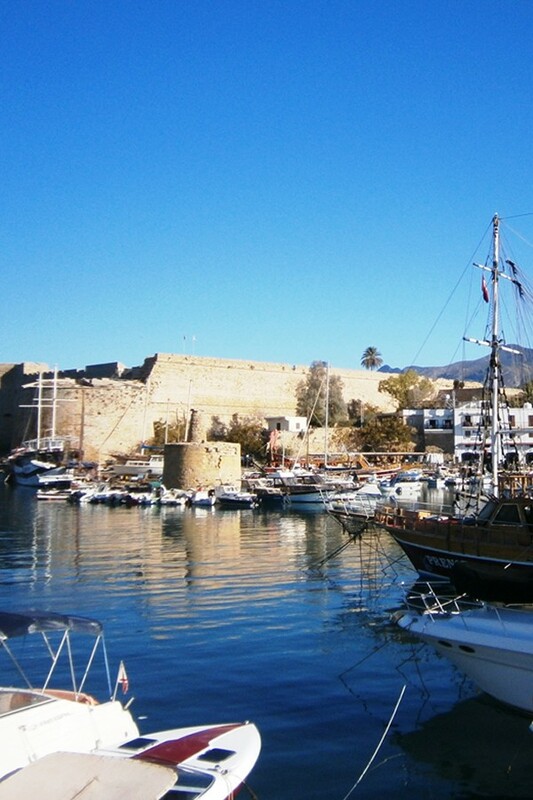 Going west, drive 10 minutes to the 5 star 18 hole Korineum Golf Course, or 25 minutes to the historic harbour town of Kyrenia. 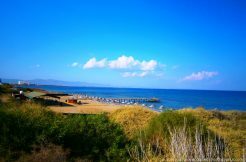 Driving east in 20 minutes you can arrive at the start of the beautiful Karpaz peninsula with its miles of unspoiled sandy beaches. 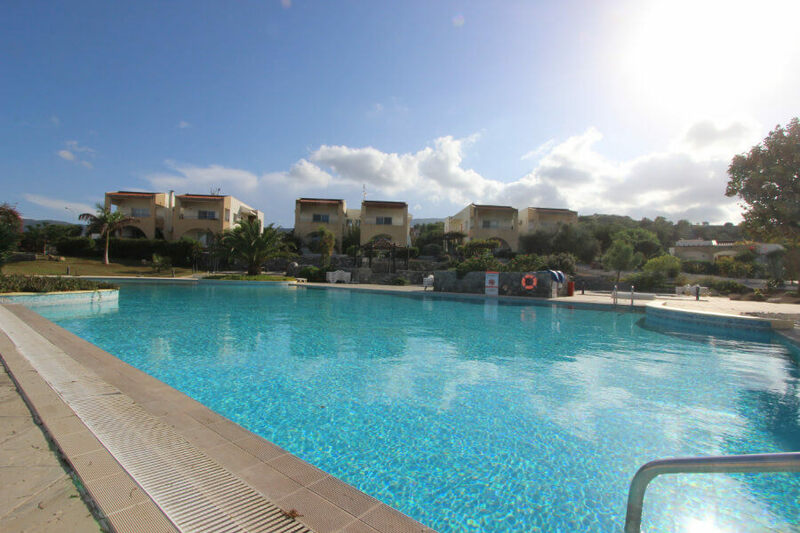 For viewing and further information please contact North Cyprus International (NCI) in the UK or Cyprus on +44 207 112 8086 or +90 548 861 0600.